No man is an island- unless he has dry, untouchable skin that no one wants to get next to. 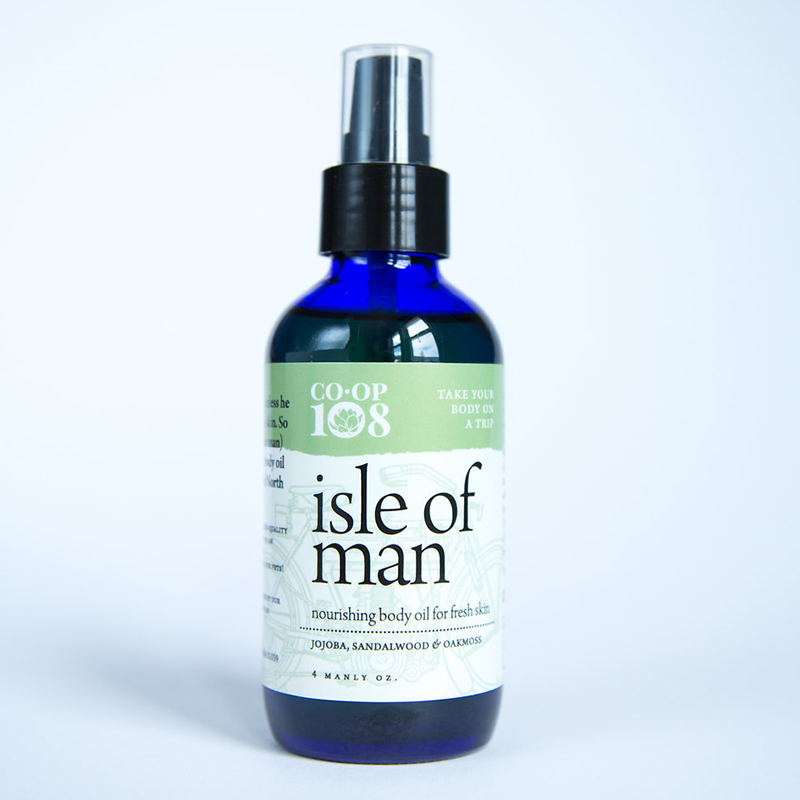 So treat yourself (or your man) to this smooth and rich body oil worthy of any rugged North Sea islander. Contains: *Jojoba oil (Simmondsia chinensis); sweet almond oil (Prunus dulcis); *sunflower oil (Helianthus annus); essential oils of black pepper (Piper negrum), rosewood (Aniba rosaeodora), fir (Abies balsamea), vetiver (Vetiveria zizanioides), sandalwood (Santalum album), oakmoss (Evernia prunastri), litsea cubeba (Litsea cubeba) & patchouli (Pogostemon cablin); rosemary oil extract (a natural preservative).